The Sears in Prince George's Pine Centre Mall has outlasted Woolco, Fields, Zellers and Target. When Prince George's Pine Centre Mall opened in 1976, its star attraction was a new, two-storey Sears department store — the 57th in Canada and the tenth in British Columbia. "The store is climate-controlled and elevator service is available for baby carriages and wheelchairs," an advertising feature highlighted in the Prince George Citizen. "If you like colour, convenience and variety ... then you'll love Sears!" That prediction turned out to be true. The store outlasted a Fields and Woolco that opened the same day, as well as latter-day competitors including Zellers and Target. However, with Sears Canada liquidating all its remaining assets, Pine Centre's owners are preparing to move forward without the tenant that has anchored the mall's shopping experience since day one. "It's a situation that's been evolving for quite some time now, and we've been monitoring it, so we've been coming up with a few ideas," said Michael Heffernan, director of asset management for the mall. "We want something that's a real draw, a real pull." While he wouldn't hint at what the replacement might be, he said many options are on the table including a movie theatre, a new box store or several smaller stores. "It could be all sorts of things," he said. "We see it as opportunity." The end of middle-class retailers? Some analysts have suggested the demise of Sears is another sign of consumer taste moving away from department stores altogether. "In the last eight to 10 years we have had Eaton's, Zellers, Target, Pascal's, Kmart," retail analyst Barry Nabatian told CBC News. "They have all gone." "It's the middle that has been under assault for the last five to 10 years, and there will be more of them unfortunately," he said. Memorial University associate professor of business Tom Cooper said it is likely most Sears stores will be replaced by something smaller. 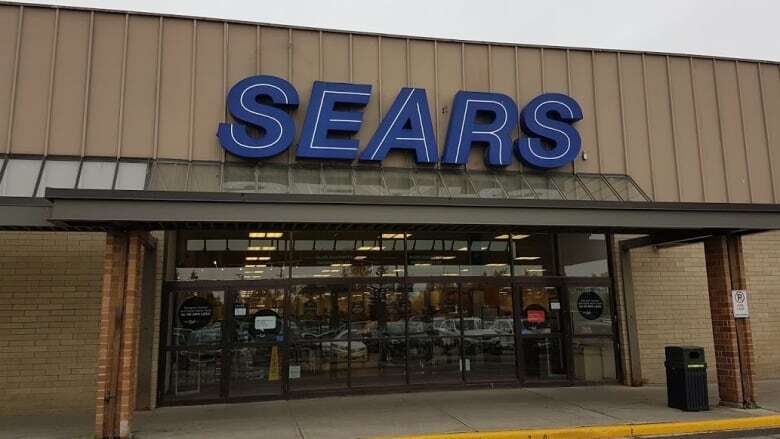 "I think what we're going to see is less of these big stores like Sears and we're going to see more specialist stores emerge," he said in an interview with CBC News. "We've seen that throughout malls in North America." Regardless of what comes next, Heffernan said he's confident the mall will remain in demand even as what's inside them changes. "We are the dominant shopping centre in Prince George so tenants definitely want to be located there," he said. "It's a physical space, it's a place for gathering ... people still want to go to the mall." Follow CBC Daybreak North on Facebook. With Sears headed for exit, what will replace Midtown Plaza's 2nd biggest tenant? Is the Avalon Mall having a midlife crisis?